Dictation.io is an online speech recognition app. It transcribes your spoken words into text. Because it uses Google Chrome built-in speech recognition engine, it is extremely good at recognizing what you say. For the same reason, its use is limited to the Chrome browser. Head over and give it a test, I think you will be impressed too. This speech recognition app and others are great tools to teach ELL students to pronounce English words correctly. Reading a piece of text in English, they can verify how well they enunciate based on how well the software recognizes what they say. It’s sometimes hard as a teacher to put yourself back in the student’s seat. 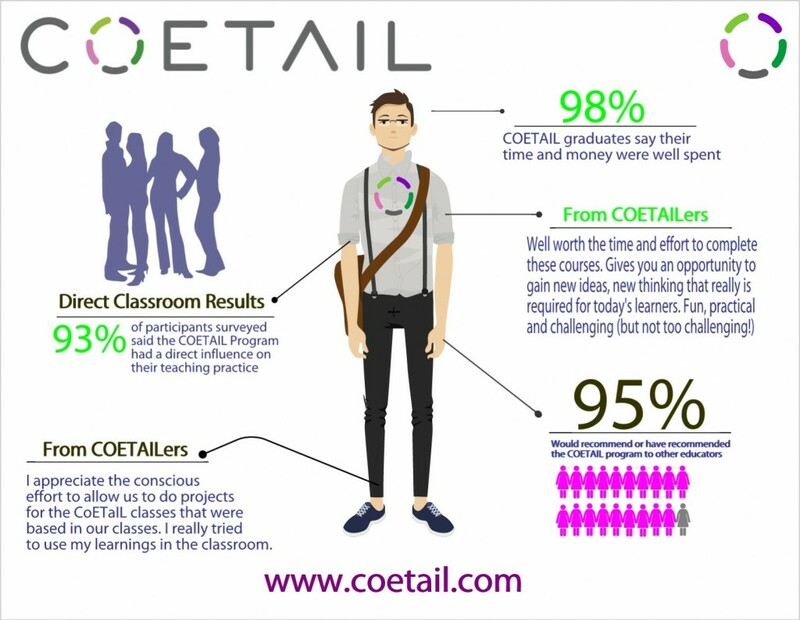 Not so for TW who is on his way to complete course 1 of the prestigious Certificate of Educational Technology and Information Literacy (COETAIL). This 5-course cohort program built around a very strong learning community is the best class I know to learn the methods of information literacy in the 21st century. Also a tip of the hat to previous graduates and ongoing students.